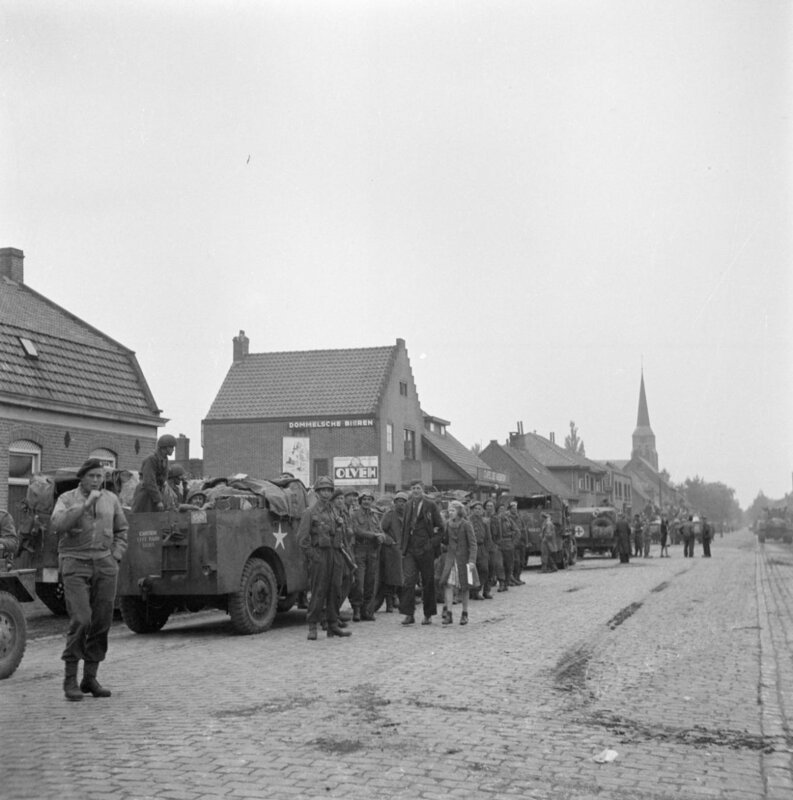 Along the side of the road during the entry of the Irish Guards in Aalst, 18 September 1944. 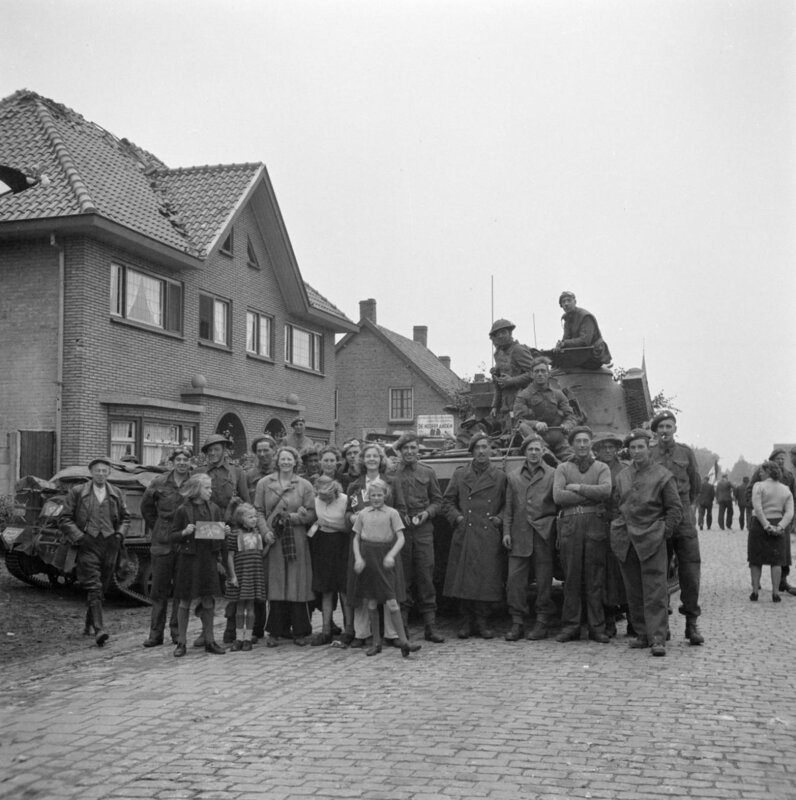 Inhabitants of Aalst posing with soldiers of the Irish Guards; the children have British and American paper flags, 18 September 1944. Tankunits from the Irish Guards take position on a junction in Aalst, 18 September 1944. Tankunits from the Irish guards before a heavily damaged bakery in Aalst, 18 september 1944.